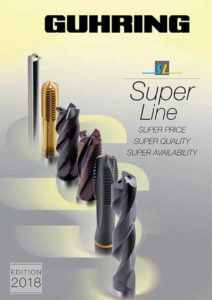 SuperLine is here as the preferred programme for all current machining tasks. Thanks to planned batch sizes and a high level of automation that can be achieved with the assistance of our in-house machine construction division we provide our customers with a high quality and simultaneously attractive price programme with 100% ex-stock availability. 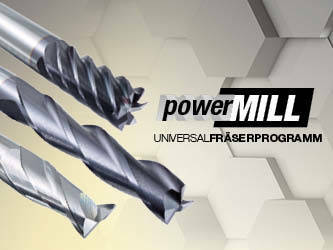 The Powermill programme offers a universal milling cutter programme that is unique in price and efficiency on the market. In terms of manufacturing and application technology the milling cutters were specially re-designed and manufactured for the special programme. For this the face geometry was optimised. Designed for international markets available in DIN, JIS and ANSI, Powertap follows the philosophy of an unbeatable price-performance-ratio. The threading tools can be applied in most materials & have a golden ring as a distinctive feature. It stands for quality “Made in Germany”. 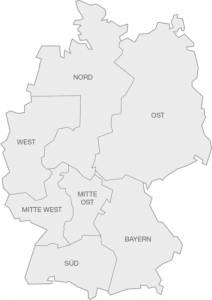 Specially for this line Guhring has invested in new plants in Vogtland on a large scale and since 2011 established a remarkable production location & created jobs. 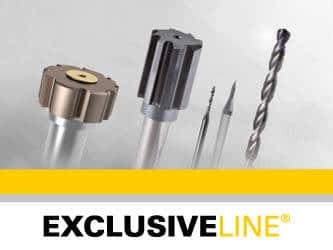 The ExclusiveLine is a special programme of high-tech tools for especially demanding machining tasks and high metal removal rates. All special programmes are available 100% ex-stock. Guhring’s SuperLine is a programme offering a selection of high-tech tools for drilling, milling, threading and reaming operations. 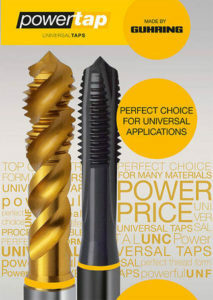 The carbide or specially selected high speed steel precision tools are optimised with state-of-the-art coatings. Thanks to innovative manufacturing processes, world-wide uniform quality standards and large production quantities the SuperLine programme is unique with regard to economic efficiency, quality, delivery times and service. The immediate availability of SuperLine tools is the pillar of the programme: For you as the customer it means order today and apply tomorrow. For us as the manufacturer it means to ensure an intelligent logistics with regard to raw materials, production and delivery. SL tools are available ex-stock. Put us to the test. 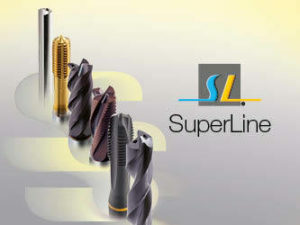 Guhring provides a re-grind and re-coating service for a long tool life of SuperLine tools. The high-tech tools are refurbished with original coatings and geometries and regain their full performance capability. 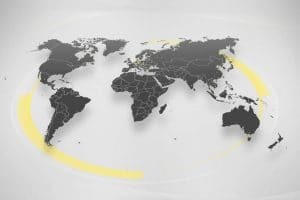 Furthermore, Guhring’s in-house collection and delivery service ensures on-time logistics in matters tool refurbishment. 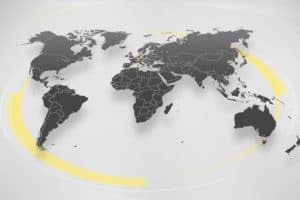 Thanks to a global network of re-grinding centres as well as world-wide uniform machine parks we can guarantee maximum quality standards in close proximity to the customer. Whether cast iron, drawn aluminium or aluminium wrought alloys, stainless and acid resistant steels, high-tensile or general steels – Guhring’s PowerTap series promises powerful taps for the most popular threads in most materials. A golden colour ring provides the visual identification of Guhring’s Powertap series. It indicates: With PowerTap universal taps you’ll always be spot-on. State-of-the-art manufacturing technologies guarantee maximum quality. “Made in Germany“ at an unbeatable price-performance-ratio. Guhring has developed special manufacturing facilities on which the high-precision geometries of the PowerTap are ground. The special geometry of Guhring’s PowerTaps makes them genuine all-rounders and enables outstanding machining results in a broad application spectrum. Thanks to an optimal cutting edge geometry a long and constant tool life is achieved. The straight-fluted taps for through holes as well as the spiral tools for blind holes achieve optimal machining results thanks to high-precision cutting edge geometries. HSS-E as well as HSS-E-PM quality steel are applied as tool materials. 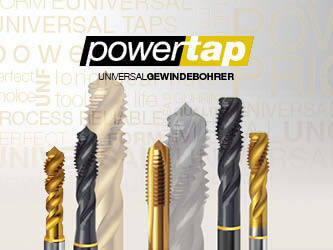 These are refined with TiN-coatings to maximise the performance of PowerTap universal taps and to achieve higher feed rates as well as a longer tool life. Besides the classic forms B and C for machine taps Guhring’s PowerTap programme also includes specialists with short chamfer lead Form E. With blind hole machining this form enables the production of threaded holes where the thread depth reaches as close as possible to the base of the hole. Universal taps of the PowerTap series are available ex-stock with immediate effect for the most important thread types and thread sizes. The programme consists of various tool types in all dimensions for various machining key points. 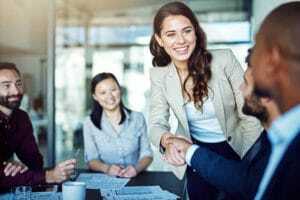 What they have in common is the universal material suitability that is the feature of the programme. 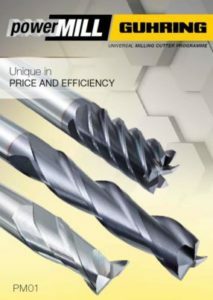 As well as two- and three-fluted milling cutters for aluminium, multi-tooth end mills or copy milling cutters for finishing operations roughing milling cutters and HPC milling cutters are also available. In terms of manufacturing and application technology the Powermill programmes was specially re-designed. This means the universal milling cutters distinguish themselves thanks to specifically developed face geometries as well as a broad spectrum of possible milling operations in various materials including ramping and HPC roughing in heat-treatable steel and cast materials up to finishing in hard machining. In order to achieve a high metal removal rate with universal milling cutters, the face geometries of established Guhring milling tools were optimised. As well as a face correction various milling cutters of the Powermill programme are equipped with Guhring’s Fire-coating. The multi-layer coating of titanium- and aluminium-nitrides distinguishes itself through a high hardness as well as a good thermochemical resistance for a high shock resistance and wear resistance. Thanks to Guhring’s R&D established for the development of tool geometries for maximum performance, Guhring’s coating and system division for the development of machines for high-precision grinding as well optimal finest grain carbide, time and again innovative manufacturing processes are created. 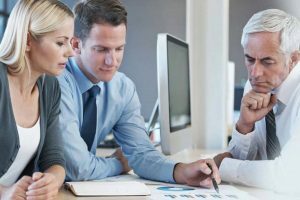 Besides world-wide uniform quality standards and large manufacturing quantities these Guhring core competencies make the Powermill programme possible in terms of economic efficiency and quality.